Cebu is being eyed as the Philippines prime destination for those wanting to learn to speak English. Organizers of an international Teaching English to Speakers of Other Languages (Tesol) conference said positioning of Cebu as a prime destination for English learning will not only help produce English-proficient Cebuanos but spur economic activities in the city and province of the Philippines. Cebu Hub of English Language Excellence (Chele) vice president Roy Lotzof said this strategy will also attract more international students to learn to speak English in Cebu and at the same time provide a venue to improve the proficiency of Cebuanos. 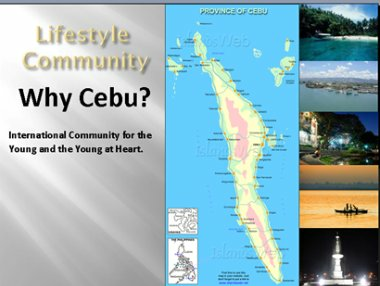 Chele oversees the international students’ well-being and safety while studying in Cebu. Chele and the Asian EFL (English as a Foreign Language) Journal announced it will host the 1st Cebu International Tesol Conference at the Cebu International Convention Center, Cebu Doctors’ University-Mandaue Campus and Benedicto College. “This activity will also help determine and develop the teaching structure of the English language based on the requirements of international students who want to learn to speak English,” Lotzof said in a press conference at the City Sports Club. The conference, dubbed as “The English Language: The Power to Connect,” will bring together international and national speakers and has so far attracted abstracts from over 100 educators nationwide. “The country would then be the biggest supplier of English teachers in the world in the next five years, if its language skills will be enhanced,” Robertson said. This year’s conference expects to draw at least 1,000 delegates from the academe and professional organizations.